Become part of our future! Supporters who have left a bequest to Sydney Swans Foundation in their Will automatically become members of the Infinity Club. A bequest is an opportunity to make a tangible and lasting contribution towards the ongoing strength and security of the Sydney Swans. It is one of the most personal ways of supporting our Club. 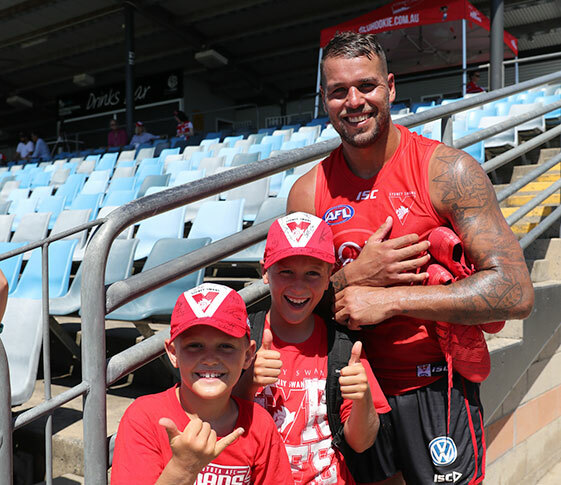 In making provisions for the Sydney Swans Foundation in your Will you will also be providing support for the long term viability of the Swans. Establishing your legacy, and earning a very special place in our Red & White Family. We encourage you to become an exclusive member of the Sydney Swans Bequest Club, The Infinity Club. As a bequestor, and member of the Infinity Club, you will receive in deepest appreciation, your name listed in selected Club communications including the Swans magazine and website, VIP invitation to attend Club functions and a Swans magazine subscription.